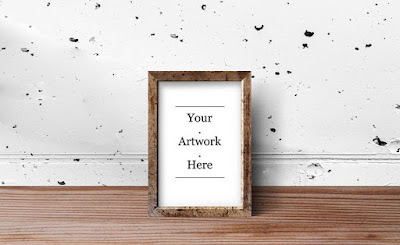 Friends, here’s a free set of 5 rustic wood photo frame mockup PSD files to showcase your artwork in style. The download includes 5 separate PSD files with 5 different settings to choose from. You can mix the templates to your liking as the colors and backgrounds are easily changeable. To edit and add your own artwork or photos, just use the smart-object layers.